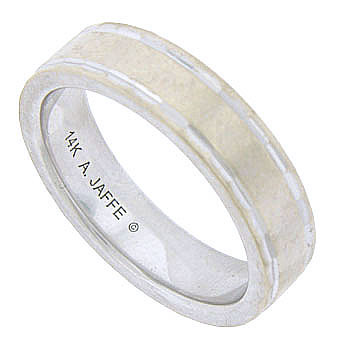 This handsome 14K white gold estate wedding band is adorned with simple slim channels. 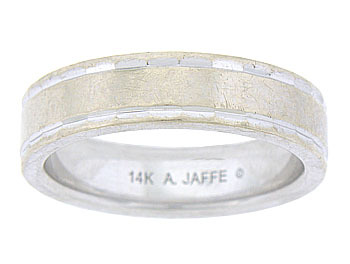 The edges of the wedding ring are finished with multi-faceted engraving that catches the light. The ring measures 5.95 mm in width. Circa: 1950. Size 11.